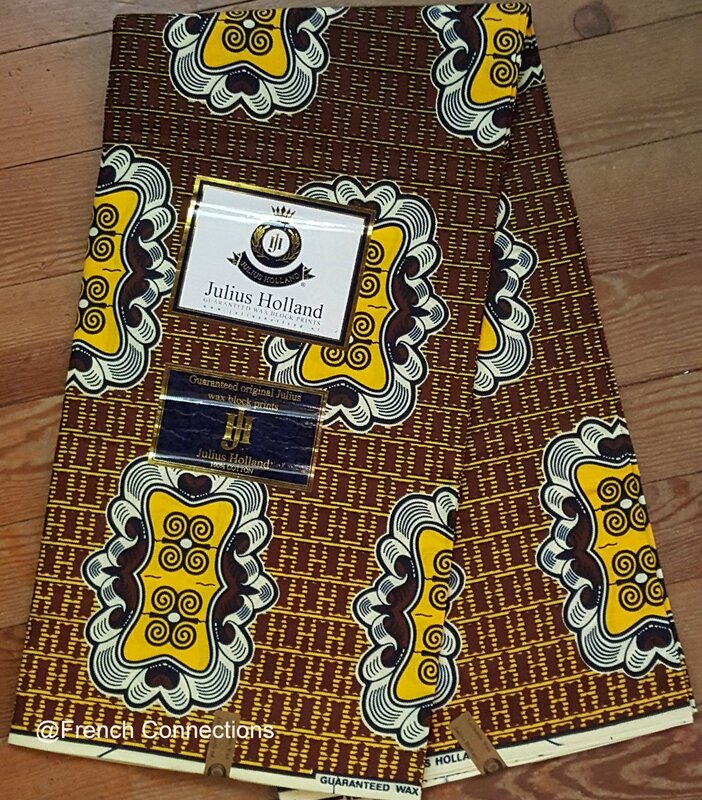 This fabric features framed Adinkra Dwennimmen symbols for strength and humility on gold, on a brown and gold background that is darker in the center of the fabric and more gold towards the edges. The fabric is printed with quality dyes on quality cotton. Used for stylish clothing in Africa, this fabric is also wonderful for machine quilting and crafts.